When I think about what IoT can bring to organizations it really is all about the data. There is one customer that I think is the purest example of a simple yet elegant business model and that’s Petasense – where the value of the data is the value of the company. What Petasense designed was a Mote, an egg-sized, battery-powered sensor that monitors vibration patterns in industrial motors, pumps, compressors, fans and other equipment that rely on rotating parts. Abnormal or excessive vibration often indicate potential failures and when identified early enough, simple, inexpensive repairs can be made before a costly, time consuming breakdown. The Mote is designed to allow battery life for up to two years and and strategically uses the computing power of the Electric Imp module, present in each Mote, to pre-process vibration data at the edge to reduce noise and optimize the volume of data sent to the cloud. This provides the Petasense cloud with highly relevant data sets for analysis and allows for greater optimization of their data handling and processing. As such, their customers can predict the health and optimize performance of their assets with Industrial IoT sensors and Machine Learning so that they can visualize asset health and performance and receive real time alerts from anywhere. This is what IoT is all about, analyzing and deriving insights from IoT device data, to inform business actions and proactively engage customers. With IoT you can analyze petabytes of sensor data from thousands of diverse manufacturing systems in near real-time to do predictive maintenance and eliminate machine downtime. By processing and analyzing time-series sensor data from production systems, companies can now effectively detect signs of mechanical wear and equipment issues well before they are visible to factory staff, so that they can take action before a failure occurs. The question should be not whether you can can connect a sensor to your cloud platform. The question should be: How am I going to get the maximum value out of the data that I am now receiving and what new opportunities do this data provide for me to increase revenue, lower costs, build better products and ultimately have a better offering/product/experience for my customers. Want to learn more? 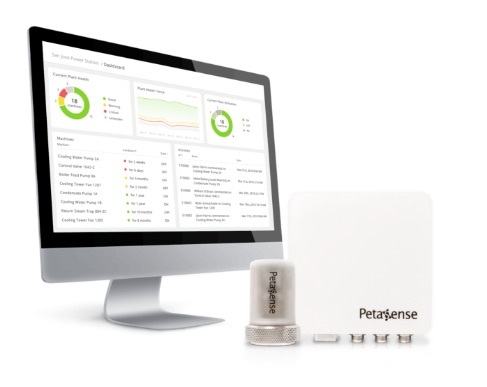 Read the Petasense Case Study and see how they did it.